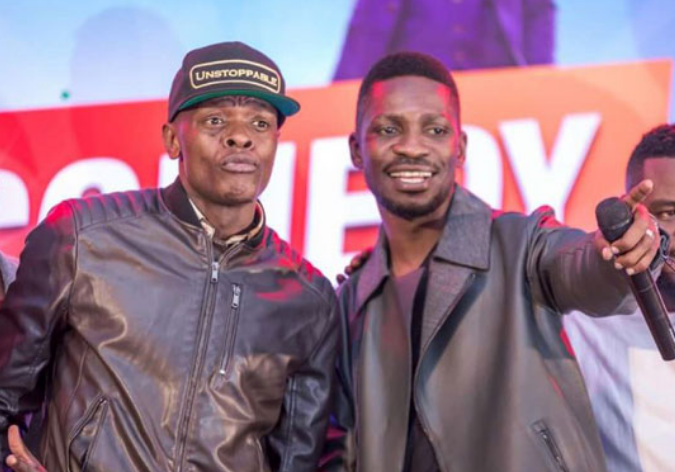 KAMPALA– Ugandan musician and politician Robert Kyagulanyi alias Bobi Wine has applauded fellow music legend Jose Chameleone real name Joseph Mayanja for his great contribution towards music industry in the country. Bobi Wine who has spent part of his day visiting Lusanja people that were convicted from their land took to his Facebook official page and revealed that the name Jose Chameleone will ever be remembered in Uganda music books. “Uganda has had so much music talent over the years but it’s hard today, just like it will be for so many years to mention music talent from Uganda and skip the name of Dr. Jose Chameleone,” said hon. Kyagulanyi. “Am personally honoured to have traveled the same music journey with my brother here and together we grew from boys to men and indeed offered our contribution to the music industry in Uganda. Today we are going to celebrate the cream of our talent at the Lugogo Cricket oval,” he added. Bobi who on several occasions has been harassed by police to stage his music concerts has said that that cannot stop them from raising their stars as artistes.